"A State Board of Elections spokesman said Wilkerson was hired on a temporary basis in late 2015 through a staffing agency to help Granville County prepare for the presidential election," the Observer reports. 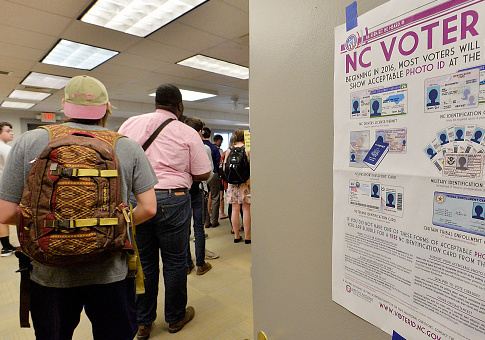 "The county's election director discovered the problem in June 2016 and "quickly notified the State Board of Elections, which investigated the matter and recently sent a full report about the case to the district attorney’s office for Granville County for possible prosecution." This entry was posted in Issues and tagged North Carolina, Voter Fraud. Bookmark the permalink.